Straighten and smarten up your home through organization techniques. A home is meant to be a warm and comforting place for you and your family. It’s your Home Sweet Home after all, right? What happens when the house declines into an unsightly mess? If you need to pull on your cleaning gloves and start to eliminate the clutter, the time to do so is now! While spring has passed, the season of organization is yearlong. The last thing you want to do is end up with more clutter and a shoddy-looking home. Whether your home needs a quick tidying or some serious elbow grease, here are some must-have home organizational tools for every house! We all need a place to drop our keys, phone, wallet, credit card, and mail as soon as we step in the door. Set up a small table or a decorative bowl so that it the pile of belongings doesn’t overwhelm your doorway. The point is to see something when you walk in the door that is beautiful, and that can double as an organizing tool! 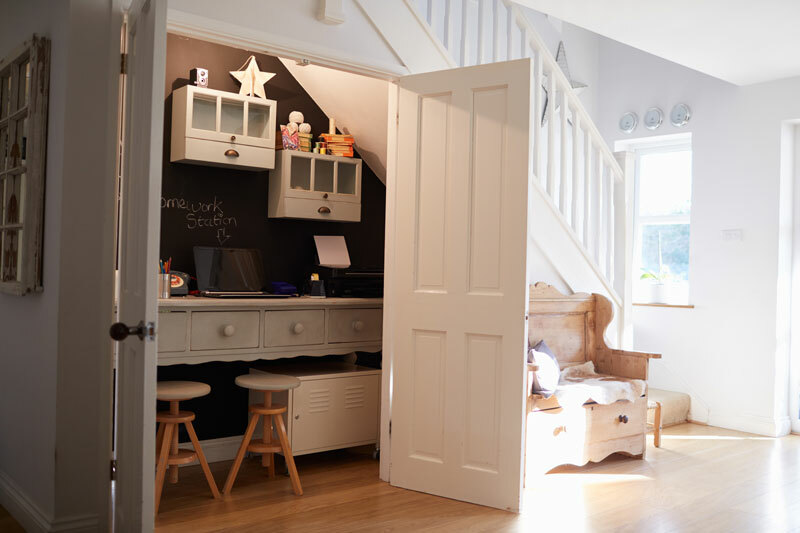 Do you have space under your stairs suitable for storage? It’s time to put it to use! No, we’re not talking about making room for Harry Potter; a space under the stairs is often the most misused space in the home. Store your vacuum, jackets, and other items that can be bulky and in the way! Many electrical cords can make any space unsightly. Use colorful ties to organize cables for your electronics, home entertainment systems, kitchen appliances, power tools, holiday lights, and more. Now that your home has been updated with these organizational tips, it’s time to give your house the right protection that it needs and deserves. For all your insurance needs, contact the professionals at The Schwab Agency, located in Colleyville, Texas.